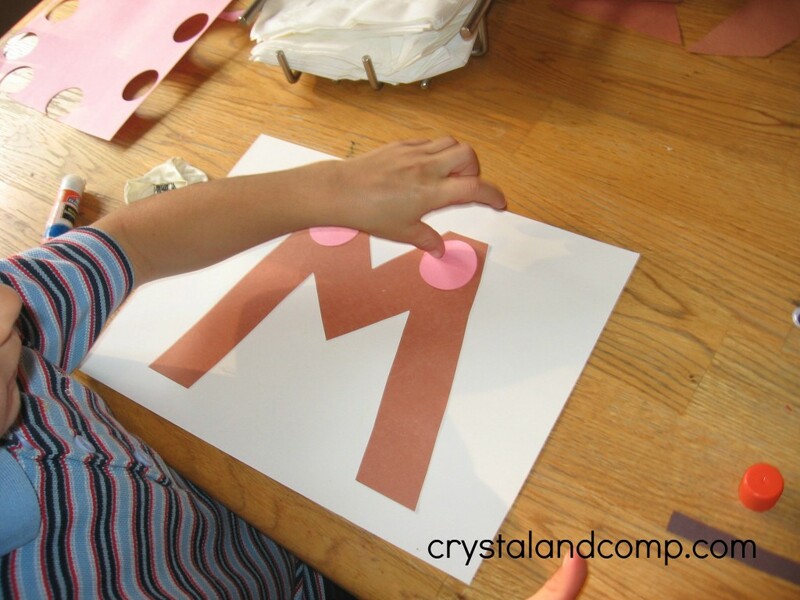 I’m Anna from The Measured Mom, bringing you another Letter of the Week Craft at Crystal and Company. 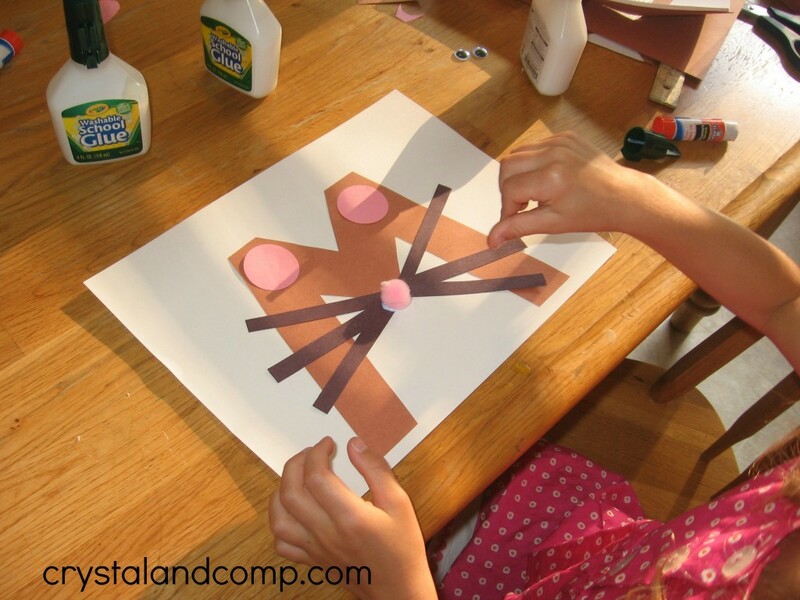 I’ll be back each week to share a new craft and other alphabet activities for preschoolers. 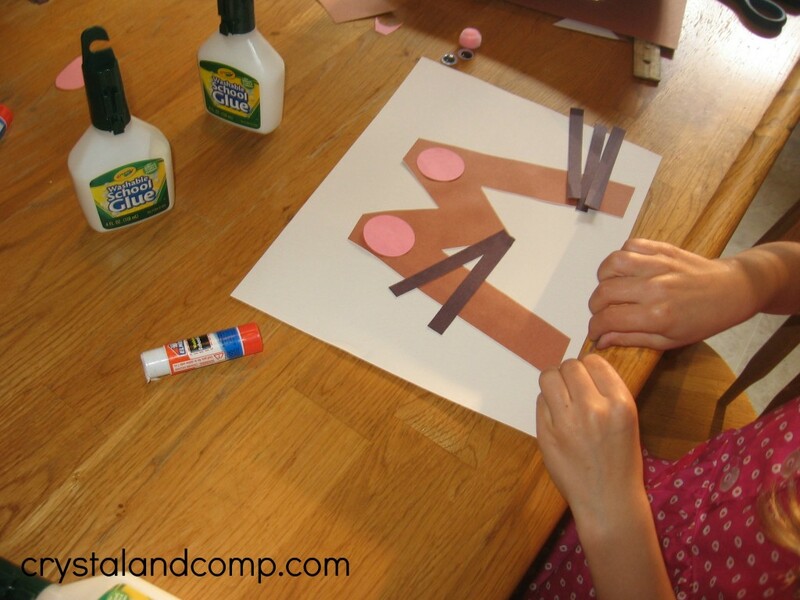 If you are looking for summer activities for your preschooler, these letter of the week crafts are a great place to start. You will also find books to read that go with this letter, as well as a song and rhyme at the end of this craft. 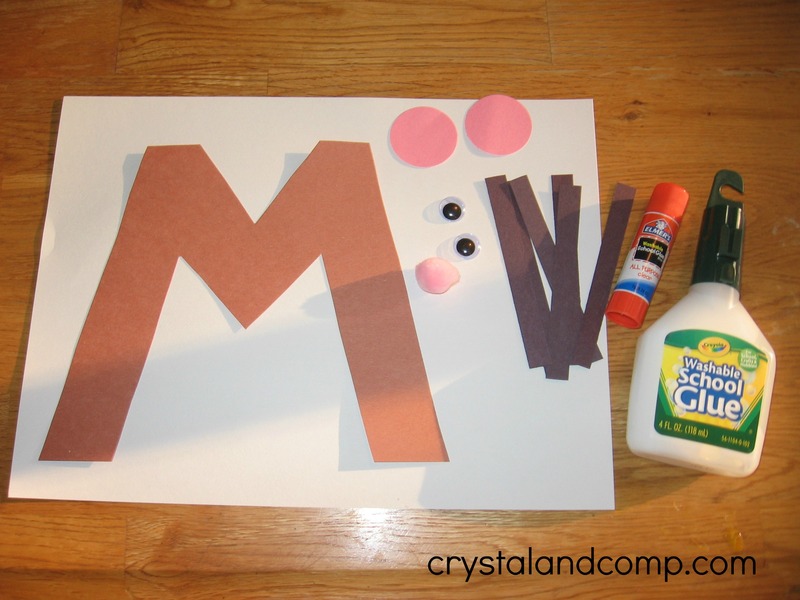 These are great activities to help your child remember the letter while they’re being creative. 1. Glue down the letter M.
2. Add the circles at the top points of the M.
3. Glue down three whiskers on each side. Make sure they start at the center point of the M.
4. Use the school glue to attach the pom pom nose. 5. Glue down the googly eyes, and you’re done! Even though I’m not a big fan of rodents, I have to say that these are pretty cute! Here are two popular nursery rhymes that every preschooler should know! If you’ve never heard this one, be sure to find it on Youtube and teach it to your preschooler. It’s easy to to learn, and kids love it. ‘Til the fourth of July, ly, ly! This was the first of the “If You Give…” series – and it’s a favorite! 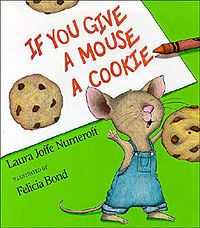 If you give a mouse a cookie, he’ll want a glass of milk to go with it… and on it goes. Besides the great story, Felicia Bond’s illustrations are amazing. Be sure to check out If You Give a Moose a Muffin for more letter M.
Have you read this classic? It’s been in print for almost 75 years, so you know it’s good! 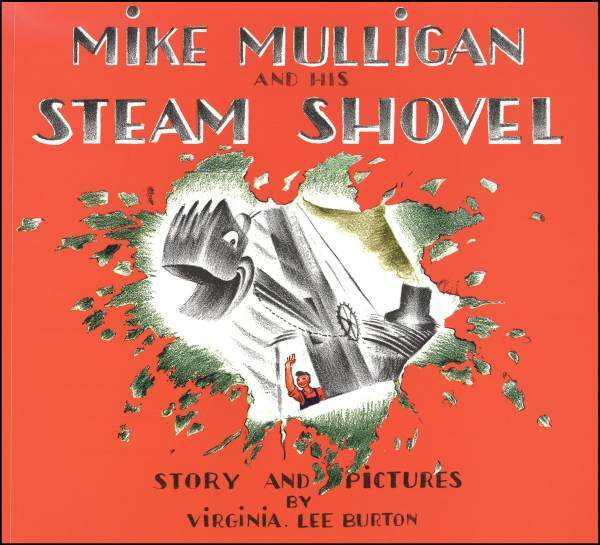 Mike Mulligan has agreed to dig the basement for the town hall, but he won’t get paid unless he and his steam shovel, Mary Ann, can get it done in one day! Will they make it? 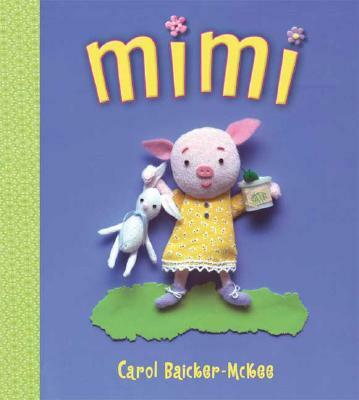 We love this adorable collage-style picture book about a little preschool-aged pig named Mimi. From watching her lose her pet pill bug to seeing her attend story time at the library – Mimi is a pig all preschoolers can relate to. 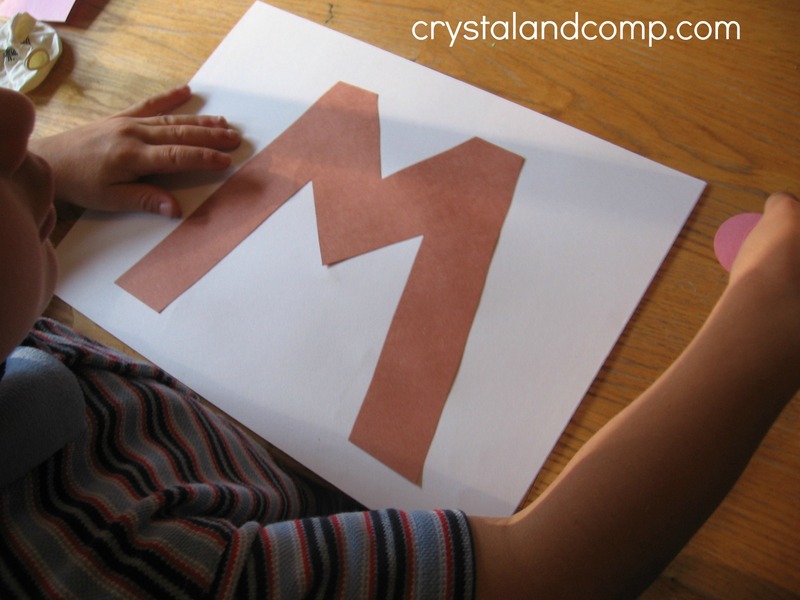 For many more ideas to teach the letter M, visit this link. Anna taught eight years and received her MEd in Curriculum & Instruction with a focus on literacy. In 2007 she began her career as a stay-at-home mom. She has four children – a girl (6) and three boys (4,3,1). She enjoys teaching them at home and after her daughter’s morning at kindergarten. Anna blogs at www.themeasuredmom.com. Thank you so much for sharing these wonderful ideas! 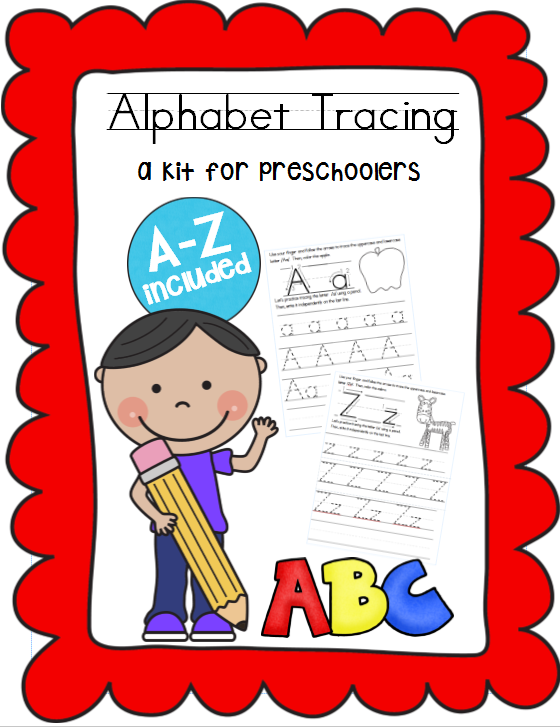 I’m going to start a letter a week with my 2 year old and will be using your site for a reference. You are a life saver! Yay, Casey. That is awesome to hear. We are adding a letter every week until we get to Z, so keep checking back. Also, check out our letter of the week snacks. This website is amazing!! I am starting my first year of teaching in a few weeks and this has been a tremendous help! 🙂 Thank you so much!! 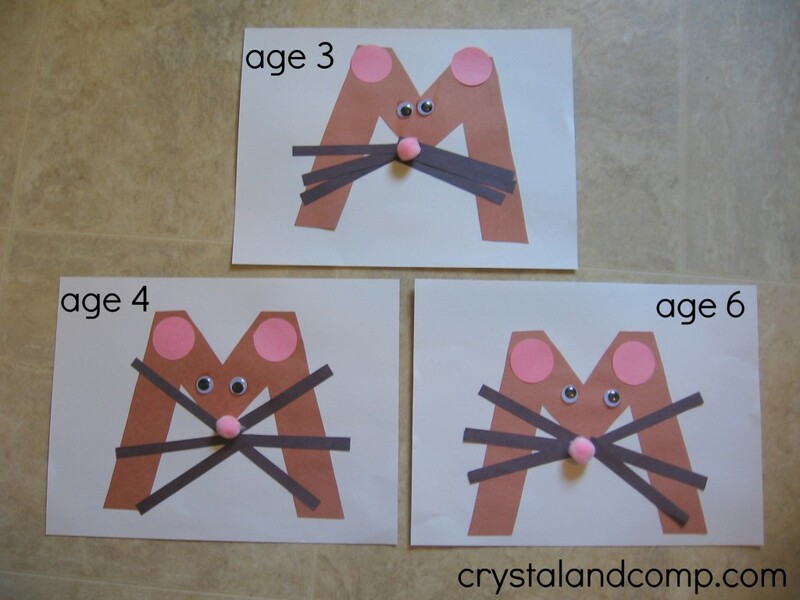 I was also wondering if you had the template for the letter M for your mouse project? 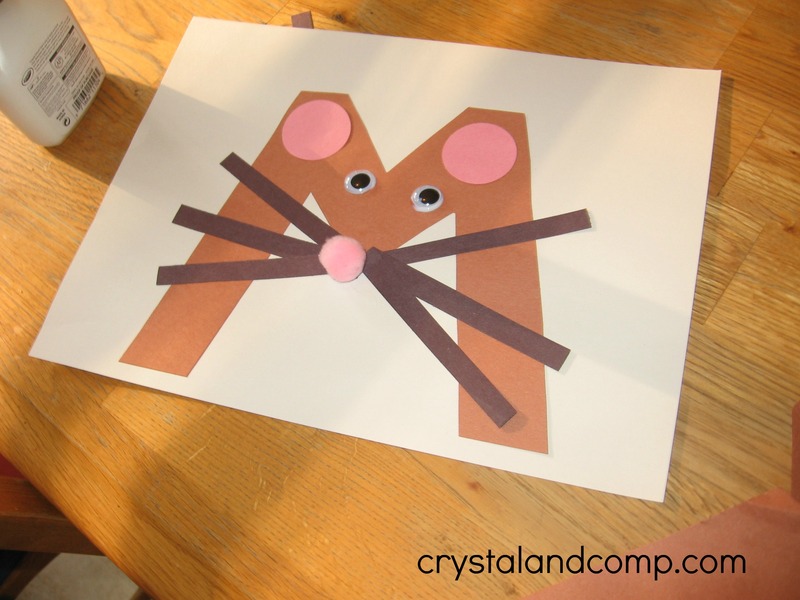 Angela- here is the m printable: https://crystalandcomp.com/wp-content/uploads/2013/12/letter-of-the-week-m-is-for-mouse-printable.pdf. Kimberley- we now have an “m” template. 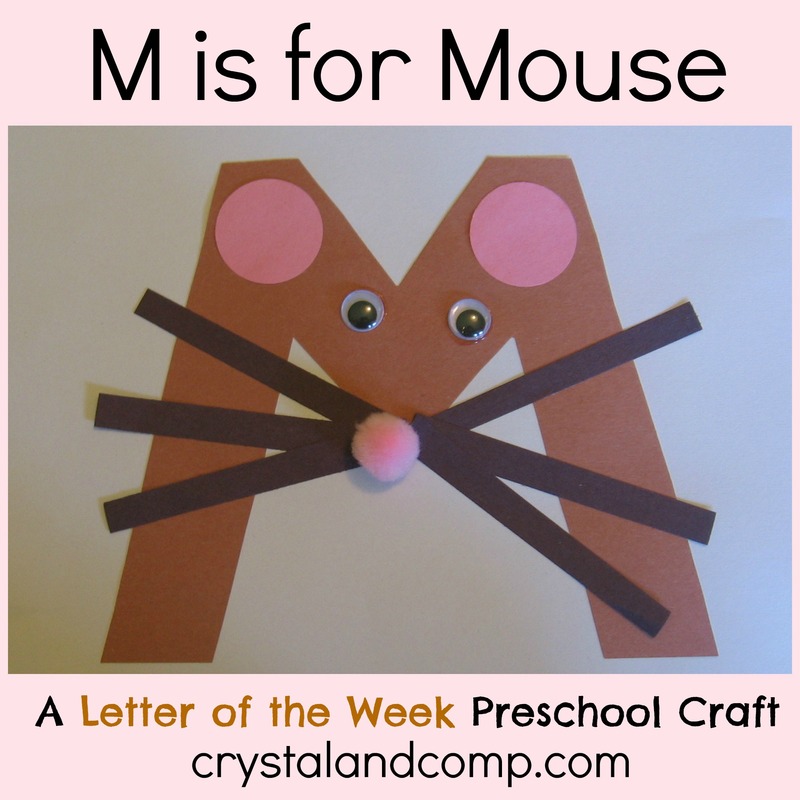 You can download it here: https://crystalandcomp.com/wp-content/uploads/2013/12/letter-of-the-week-m-is-for-mouse-printable.pdf. please tell me how can i get letter M printed onto construction paper and cut out and where is the x y and z? Thank you ! Lilly- right now we do not have an M printable. You’ll have to just draw it and cut it out. We add a new letter every Tuesday. So far we have A-W. X will be added Tuesday the 17th of September. Yay! I saw your results on Instagram. It has been so fun to watch you and your daughter create these! Thanks for this cute craft. We love letter crafts. Will try to do as many as we can. I am trying to use your alphabet letter craft with snacks however they never show up with the whole alphabet. Would it be possible for you to email them to me?? PLEASE!!! Thank you!!! I would really appreciate help in obtaining the Letter of the Week templates. Download button requests permission to change my computer’s settings so I cannot agree to that. Is there another way to get those? It does not do that for me. It just opens the file. It is a PDF- so it uses Adobe to open, but you’ve used Adobe before unless you’ve never opened a PDF on the computer you’re using. My suggestion would be to use a different browser or computer. You should literally click and it should just open…. assuming you have Adobe installed.